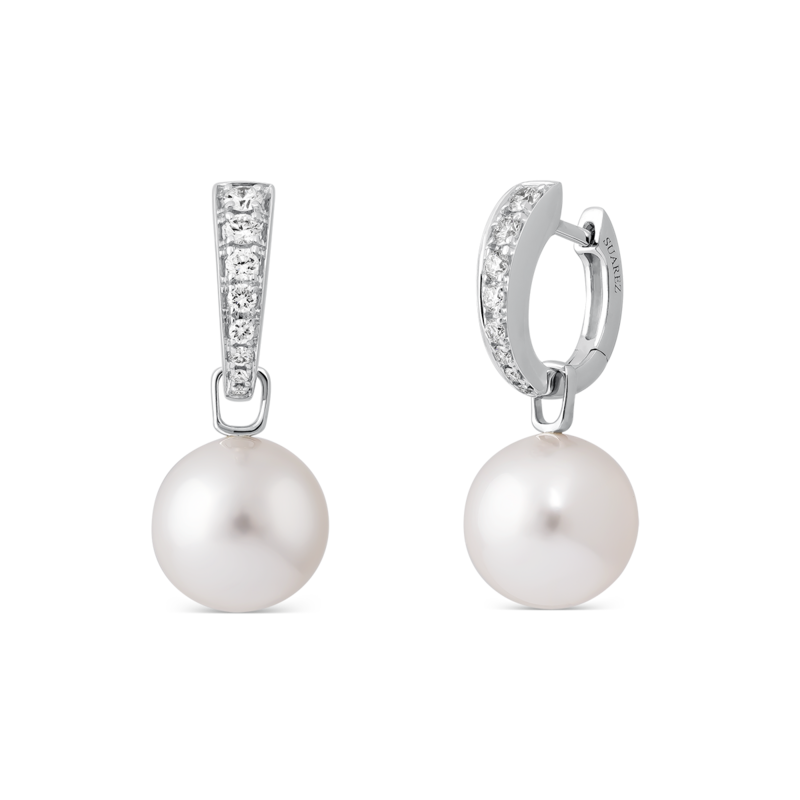 White gold earrings with 9.5-mm diameter Australian pearl. The brilliant-cut diamonds have a total weight of 0.30 carats. Sketches of the PERLAS collection, produced by hand by the Suarez design team and showing the creative phase prior to the manufacturing process. Images of the work being carried out in our workshops during the manufacturing process of the jewellery in the PERLAS collection. Stones personally selected by the Suarez family in their place of origin.